The 2018 Open Book took place on April 26, 2018 at the Village Office, 215 E. Four Mile Rd., from 10:00 a.m. to noon. Board of Review will be held on May 29, 2018 at the Village Hall, 4725 Lighthouse Dr., at 5:30-7:30 p.m.
What is an assessment and what is its purpose? An assessment is the value placed upon your property by the Village Assessor. This value determines what portion of the local property tax levy will be borne by your property. How do I obtain assessment information for a property in Wind Point? 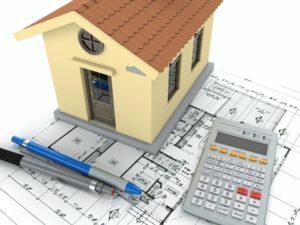 Property assessment information is available online from the Village assessor’s website at http://www.apraz.com/search-2.asp?countyID=52&municipalityID=156. Who is the Village Assessor and how do I contact him/her? Beginning in 2015, the Village contracts with Associated Appraisal for municipal assessment services. Contact Associated Appraisal at 1-800-721-4157 or by email at info@apraz.com. Whenever the assessor changes the total assessment of any real property or any improvements taxed as personal property by any amount, the owner must be notified in writing and mailed at least 15 days prior to the Board of Review meeting (and at least 30 days in a revaluation year). What is a “revaluation” and when does it take place? A revaluation is done by the assessor when the property records are outdated or inaccurate, assessment uniformity is poor, a full revaluation hasn’t been done for 10 years, or reassessment is required under state law. A full revaluation includes on-site inspections (interior and exterior), measuring and listing all buildings, taking photos, and sketching buildings. The last full revaluation in Wind Point was completed in 2016. If I disagree with the assessment or classification of my property, what can I do about it? If possible, you should first arrange to meet with the Village Assessor to examine your assessment records. When you meet with your assessor, review the records for your property and discuss how your assessment was made. If you are unable to meet privately with your assessor, you should attend the “open book.” “Open book” refers to a period of time before Board of Review when the completed assessment roll is open for examination. If you have discussed the matter with your assessor, and you are still not satisfied, make arrangements with the Village to appear before the Board of Review. To assure a hearing, you must provide a written or oral notice of your intent to file an objection to the Village Clerk at least 48 hours before the first scheduled meeting of the Board of Review. In addition, a written and signed form of objection to property assessment must be filled out and filed with the Village Clerk within the first 2 hours of the Board of Review’s first scheduled meeting. An objection form can be downloaded from the Wisconsin Department of Revenue. For more information on assessment procedures in the State of Wisconsin, view the Wisconsin Department of Revenue’s Guide for Property Owners or contact us.